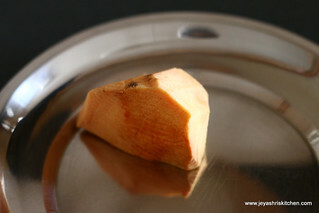 Grate a small piece of yam. 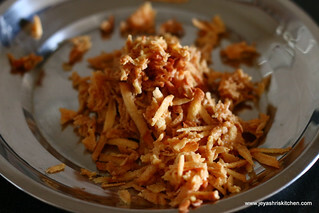 In a pan add 1 tsp of oil and saute the yam until the moistures leaves. This is very important. Else will be watery while making urundais. Keep all ingredients ready. Grind it in the mixie . Do not add water while grinding. Let it be slightly coarse. It should be thick. 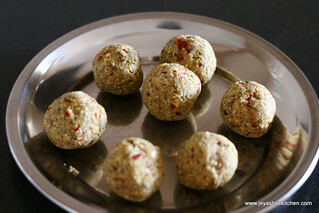 Make into small lemon sized balls. 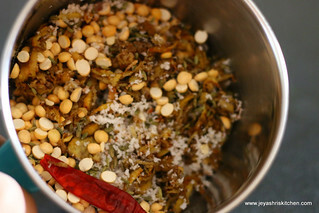 Heat oil and when it is hot, bring it to medium and fry the urundais in batches. Do not fry in high heat as it will not cook inside. 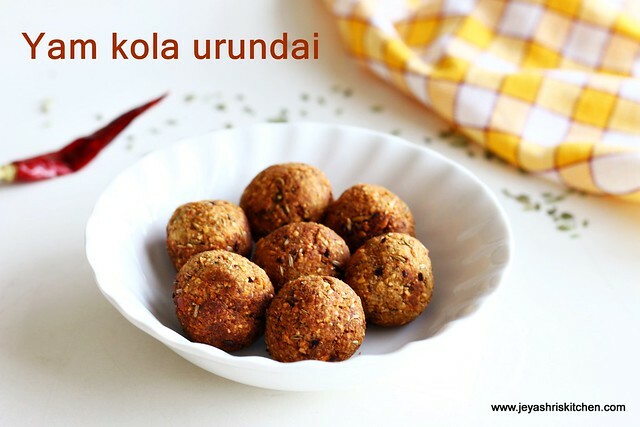 Enjoy this as a snack or can have with rice and rasam too. 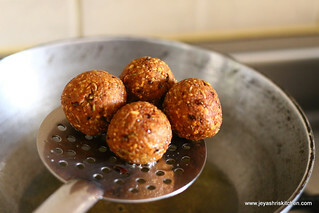 I had with Kathrikkai puli kuzhambu. 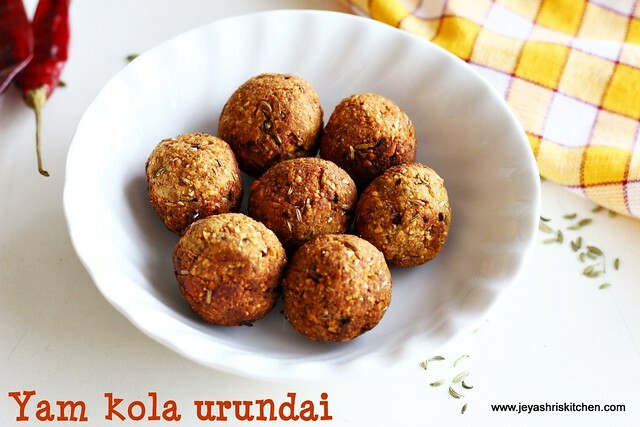 Onion gives softness to the urundais , so do not skip it. 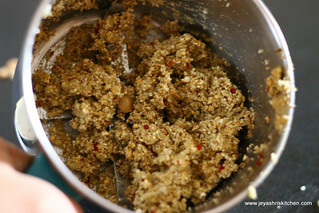 You can add clove to it while grinding. Just one will do, just for flavour. If using beetroot also follow the same procedure. Do not forget to saute before grinding. Else it will ooze out water and make the mixture watery too. 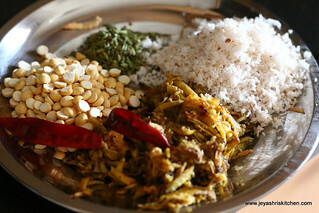 If using pudalangai/snake gourd chop them finely and add salt to this and keep it aside for 10 minutes. Let it ooze out water. 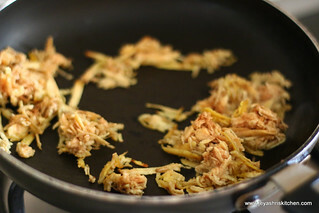 and then squeeze out he excess water and saute for a while and continue the same procedure. 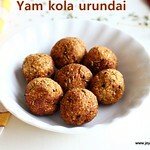 Wow tempting kola.. Could feel the crispiness from your awesome clicks.. 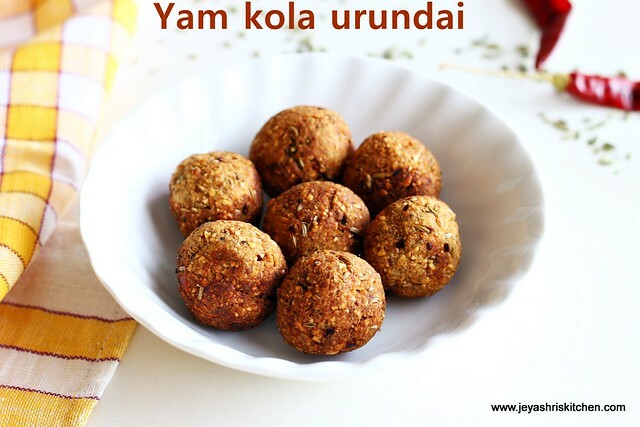 Waiting for other chetinadu recipes also..
traditional one.. Cettinadu cuisines had a special flavor and taste, can smell the taste thru ur clicks.. thanks for sharing the recipes..
lovely vadas with yam in it.